Back in February, I spent a bit of time in Nigeria. It was a work-related rather than beer-related trip, but along with busily doing the day job, I did have at least one evening free to sample some of that country’s finest brews. I have written before about Nigerian Guinness, but Star was new for me. It’s one of the big pils brands in the country, and its advertising is pretty much ubiquitous in the metropolis of Lagos, where I first had it. 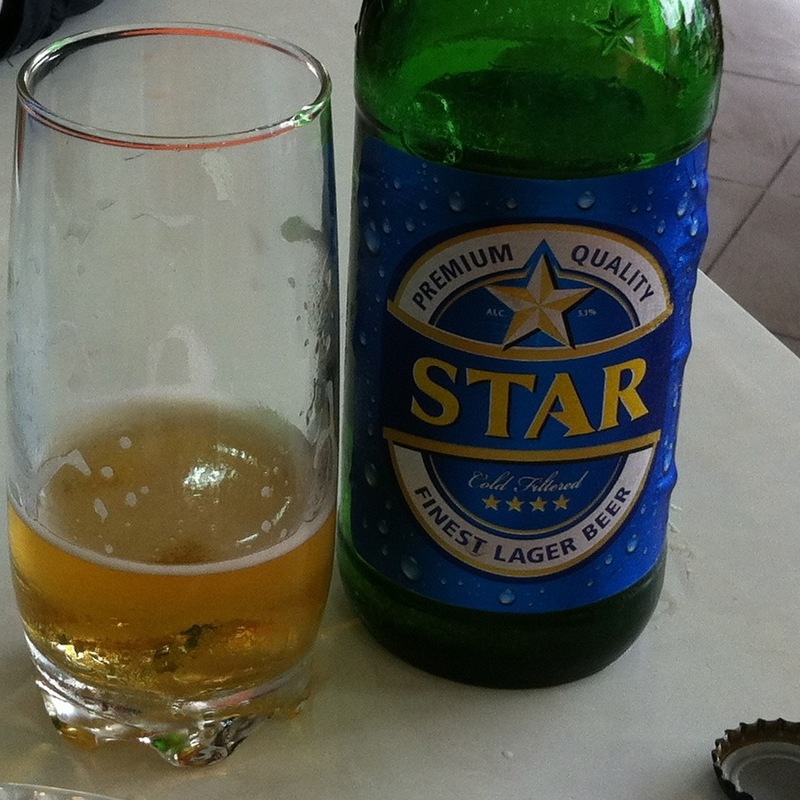 Star is, much as you might expect, a fairly typical warm-climate lager, so there’s not a whole lot much to say about the taste. It’s crisp and very slightly biscuity, and it offers faint suggestions of bitterness. Star is not there to be complex. It’s designed to be straightforwardly refreshing on a hot day, and it fulfils the mandate beautifully. Served bottle-sweatingly cold with some egusi soup and pounded yam, it’s quite good. With catfish pepper soup, it’s even better.